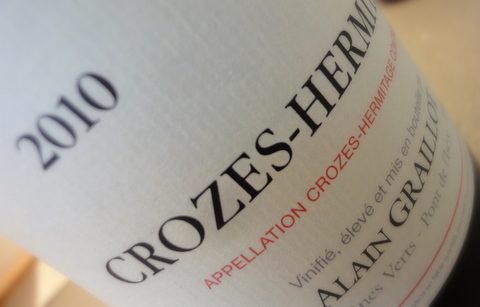 Tasted and drunk non blind from Riedel Sommelier Hermitage glass 3rd of March 2012. Note inspired by SAT from WSET. Deep purple with blue hue. Very intens on the nose with penetrating aroma characteristics of black pepper, smoked bacon, blackberry, black cherry and plums. Very complex on the nose. Dry with medium (+) acidity and flavor intensity. Medium (+) coarse tannins that soften up after a few hours, but are still very present. Flavour characteristics of sweet black cherry, plums, cranberry, blackberry, bacon and black stone! Medium (+) body with 13% alc well integrated. A very intens wine that grabs you and keeps your focus. The taste lingers on for a long time in good balance. An outstanding wine that will benefit from further ageing. I will keep my remaining bottles for at least 3 years, but I think the wine will improve up to 2020. The complexity and the tannin-structure is the benchmarks for this impressive wine. Even though you have tons of massive fruit, the wine keeps “cool” because of the acidity and the black minerality. Rating on my 100 point scale: 91+ points.